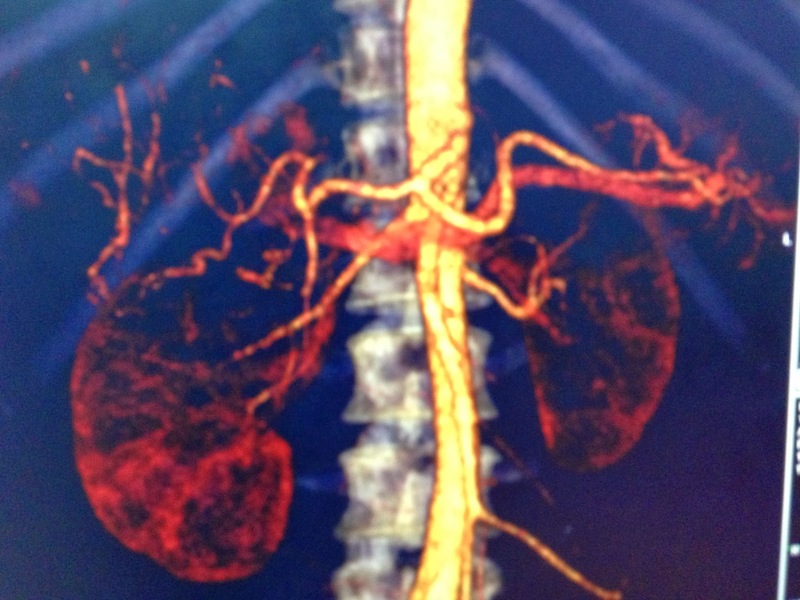 Woman 36 yo with long history of acute hypertension crisis. 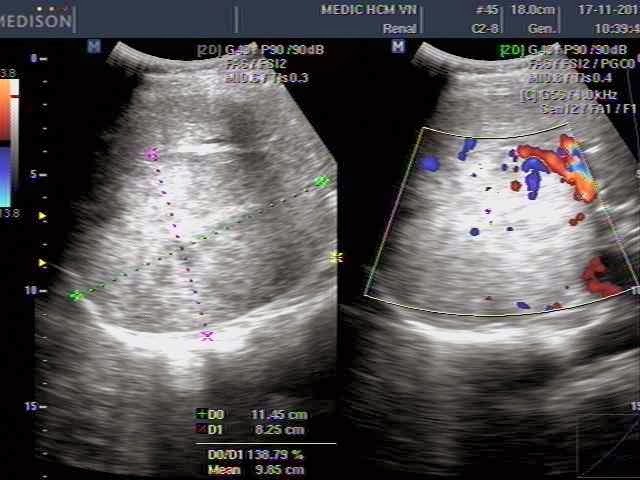 Ultrasound of abdomen for check-up detected one mass at left lobe of liver, size of 11 cm-8,5 cm which had round border with central mass being thought a scar necrosis( 2 pictures). 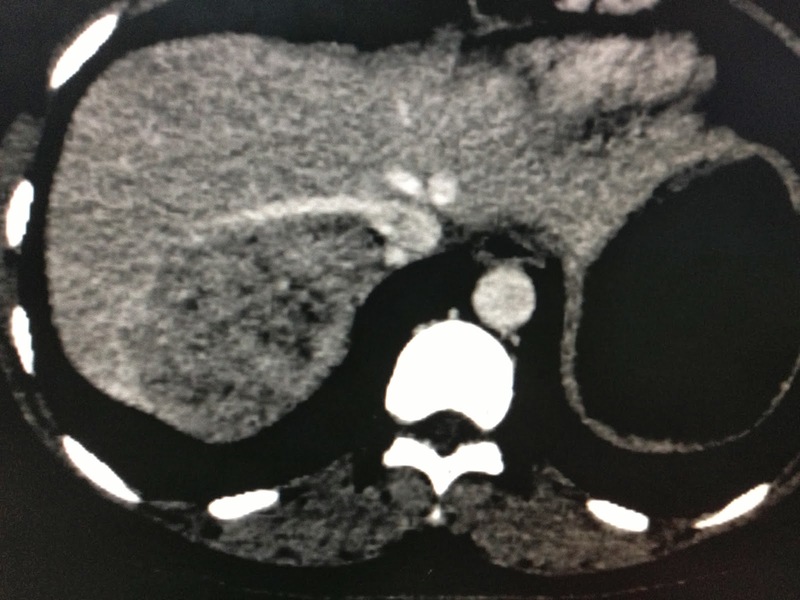 Sonologist suggested a FNH or HCC. Blood tests are normal AFP, not infected HBV ,or HCV. MSCT with CE of this tumor was well–bordered, blood supplying from liver tissue around, hypervascular with rapid washed-out contrast. 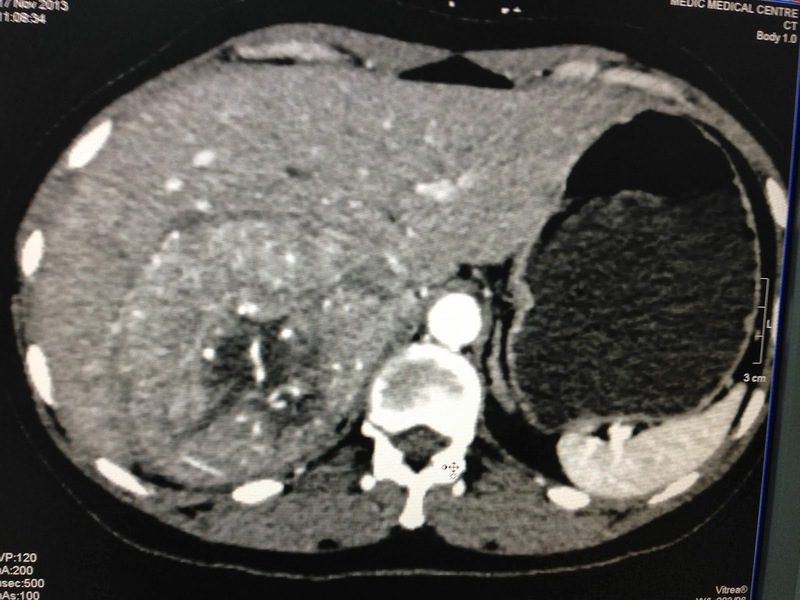 This tumor had displaced liver vein. 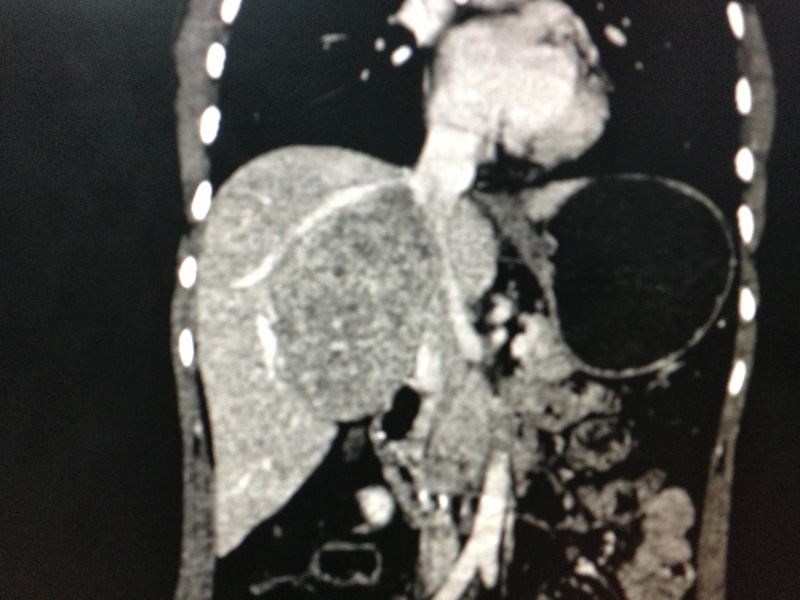 Radiologist diagnosis was a liver tumor as HCC. 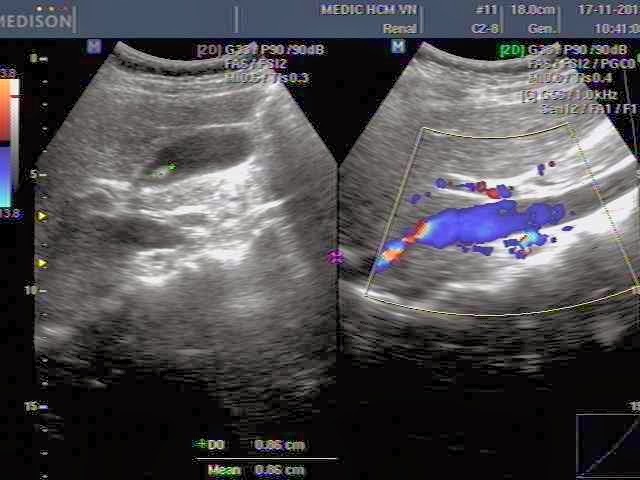 Ultrasound guided biopsy was reported that a HCC. 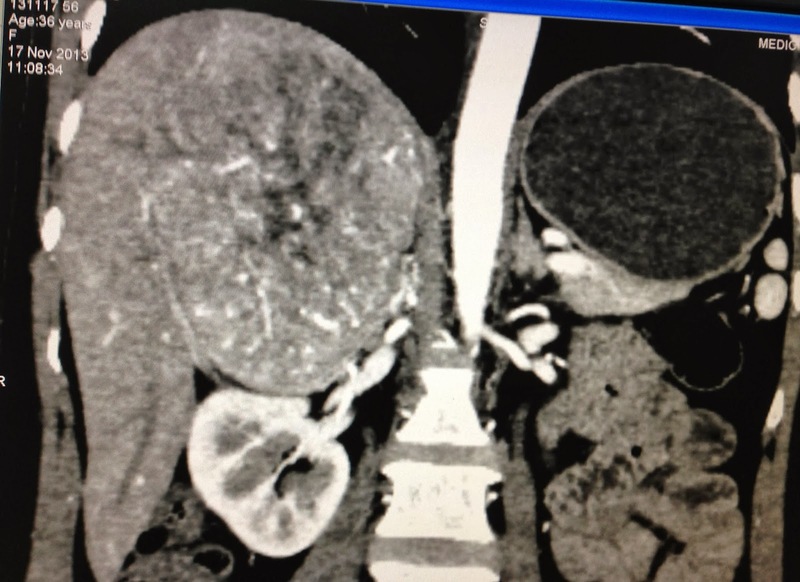 Operation removed this tumor completely and it was not a liver tumor, but was one tumor outside liver . 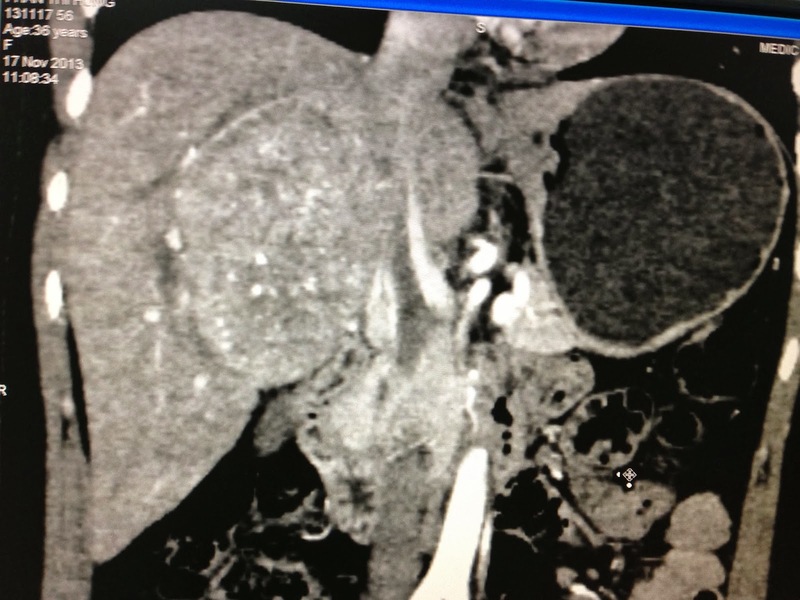 Microscopic report was malignant pheochromocytoma. Do you review if those pictures are correct with the end report or not?